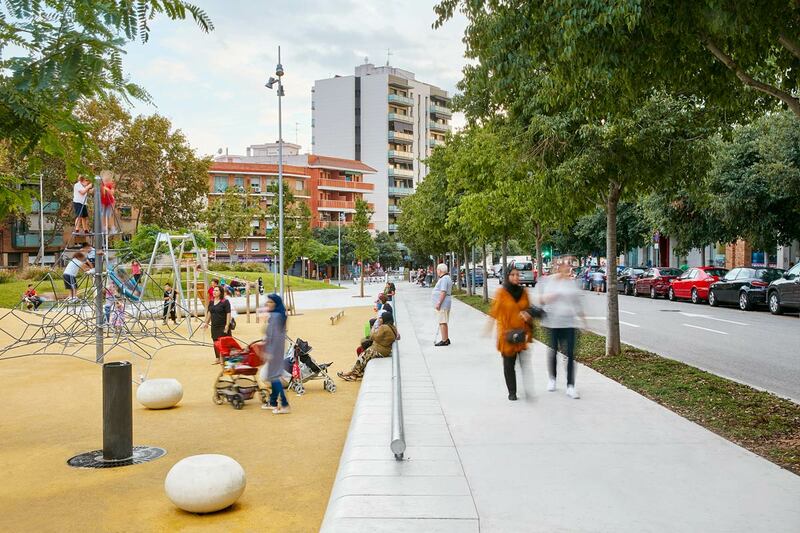 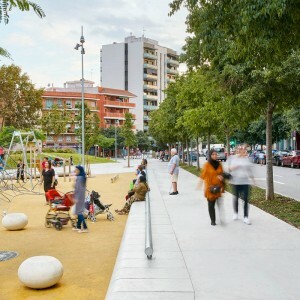 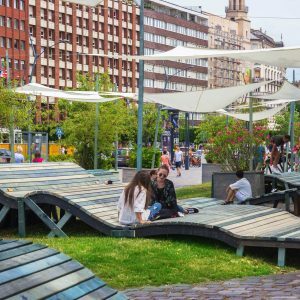 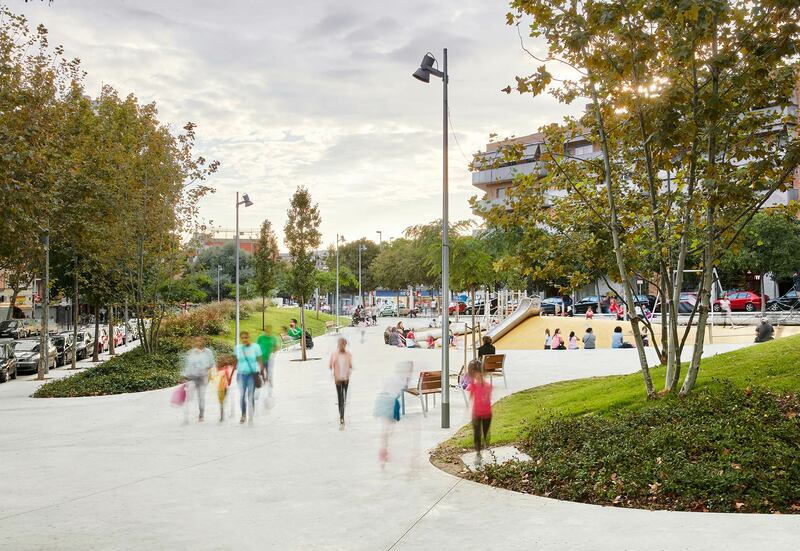 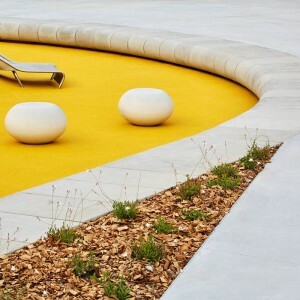 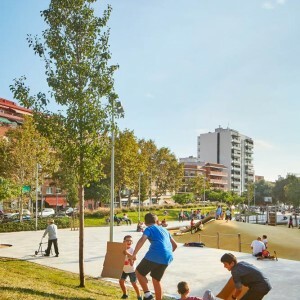 peris+toral.arquitectes: The purpose of the project is to reorganise the green space bounded by Avinguda d’Itàlia, Avinguda de Mònaco and Carrer de Verdi in the town of Badalona, with a low budget and a nal cost of 95.5 €/m2. 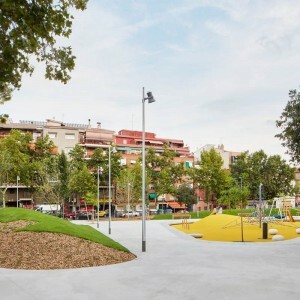 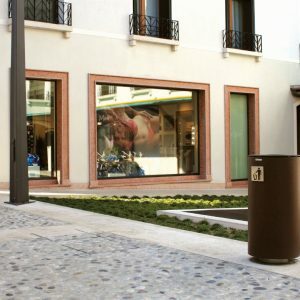 The brief was drafted by the Projects Service of Badalona Council and then completed with the collaboration of the Projects and Works Service of the Àrea Metropolitana de Barcelona and the project’s designers. 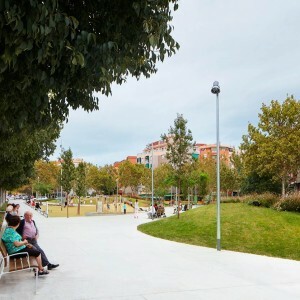 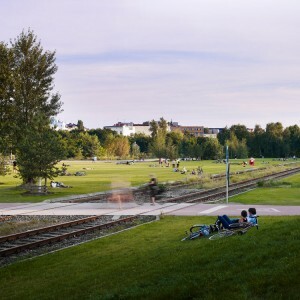 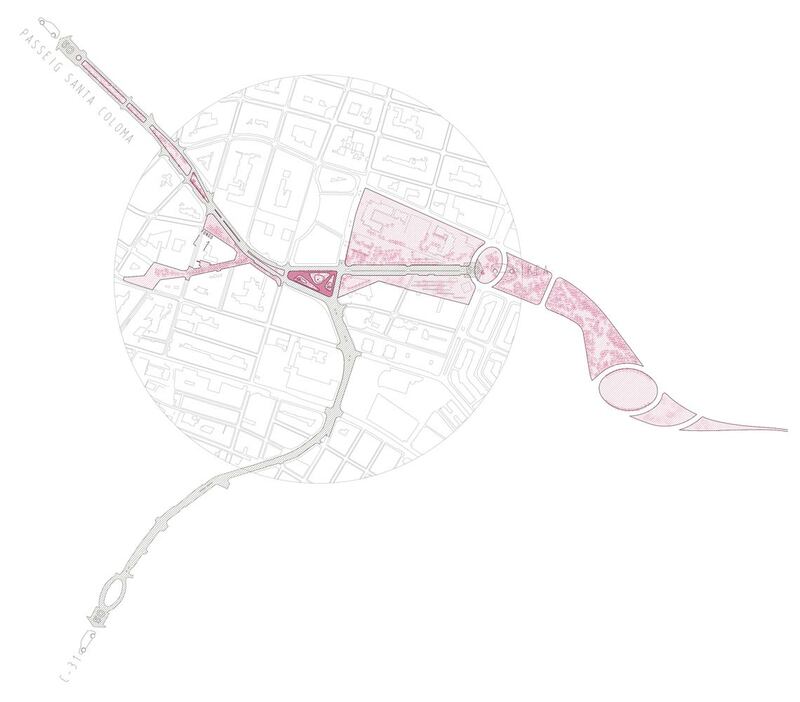 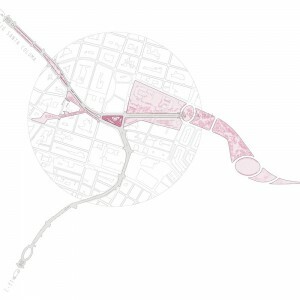 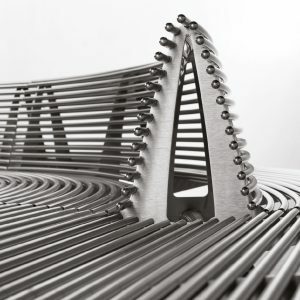 The project addresses the interurban scale, strengthening the continuity of the green axis that runs from the river Besòs, linking various parks and plazas, before connecting with the parks of Montigalà, as well as addressing the local scale. 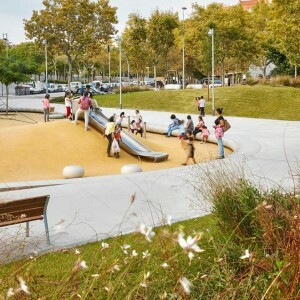 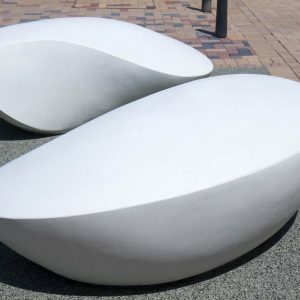 After mapping the empty urban spaces and the uses made of them, the need for a play area for children of different ages was identi ed, to be situated strategically near the district’s schools and pre-school centres, with street furniture to enhance both the places for sitting and resting, and the circulation areas. 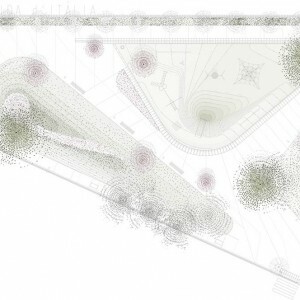 To systematise the green axis, the proposal connects the existing zebra crossings and preserves the species of trees, Tipuana, growing in the surrounding parks. 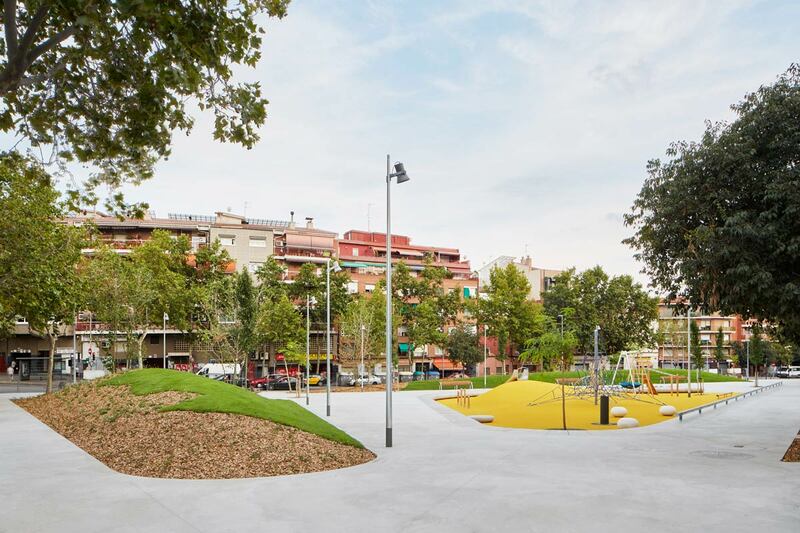 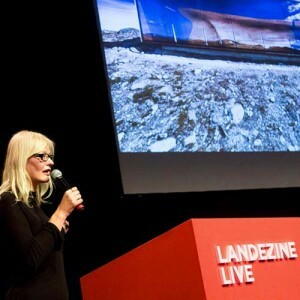 The project offers topographical continuity to interrelate the various levels of the site with no architectural barriers. 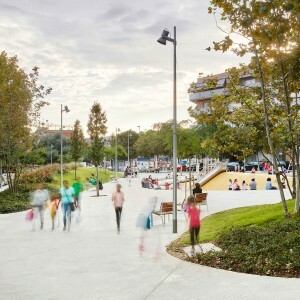 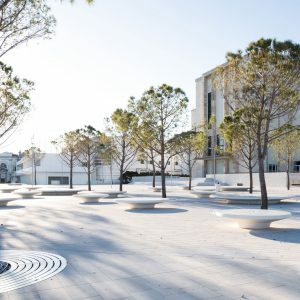 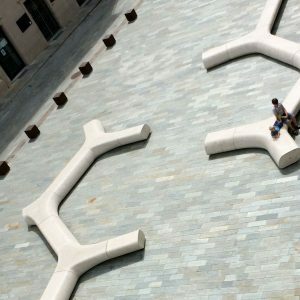 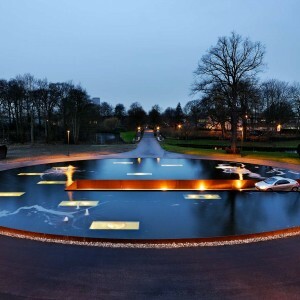 The resulting diagonal paths, long enough to create negotiable slopes, are extended to offer places to sit and enjoy the space. 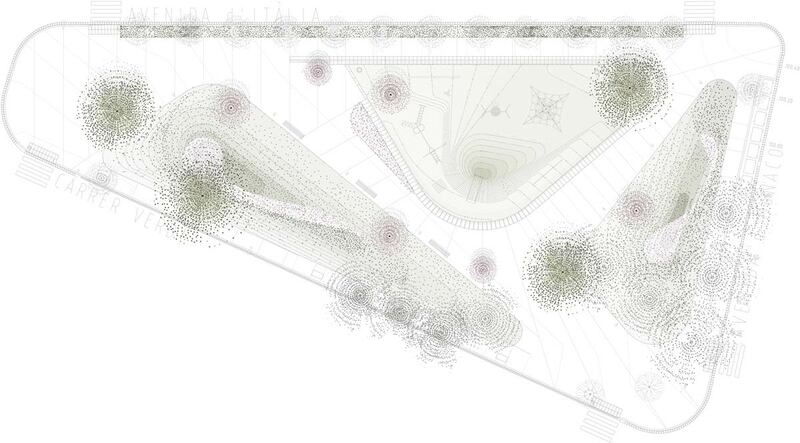 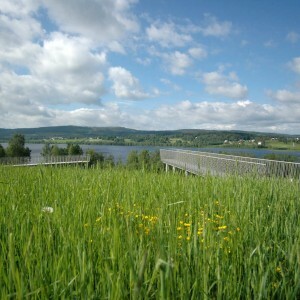 The natural topography of the site is modi ed to accommodate the proposed programme. 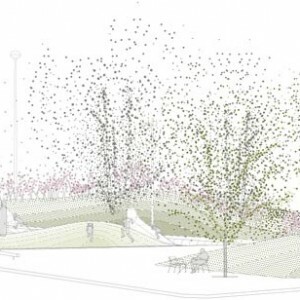 Two dunes, planted with grass, creepers and shrubs, offer protection from traf c and a changing landscape with the passing seasons, and a gentle hollow marks out the play space. 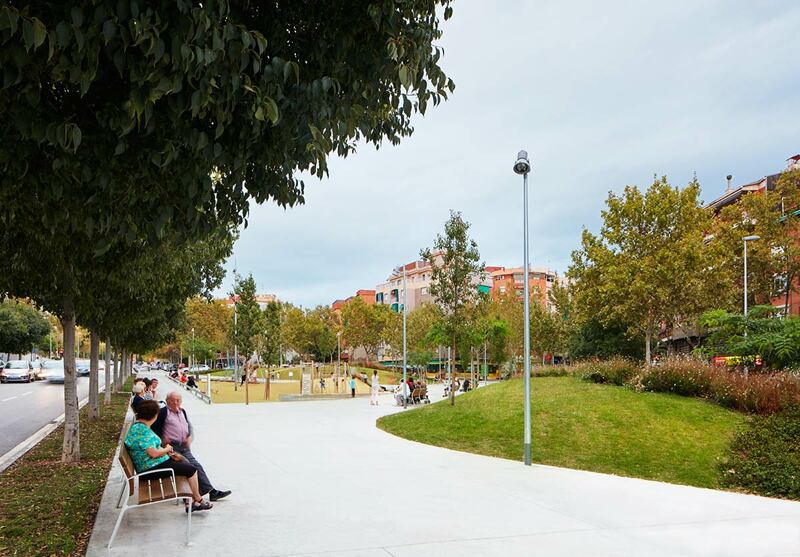 The slopes of the planted dunes shut out views of much of the traf c, at the same time allowing an atmosphere of safety where adults can keep an eye on children playing. 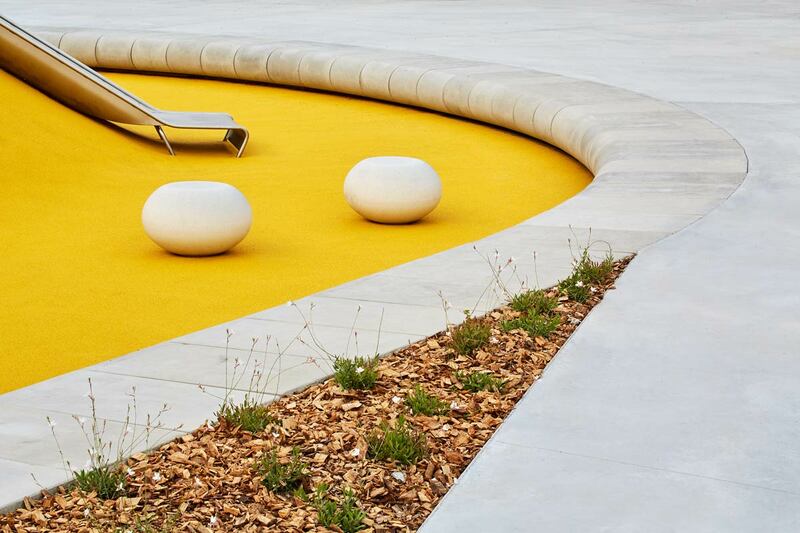 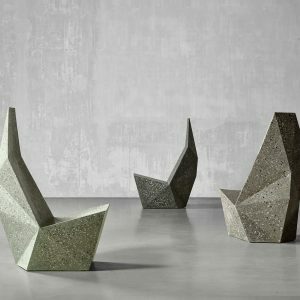 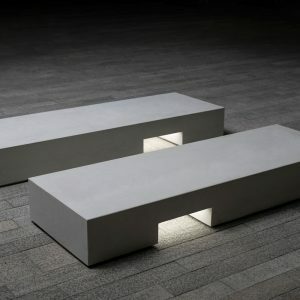 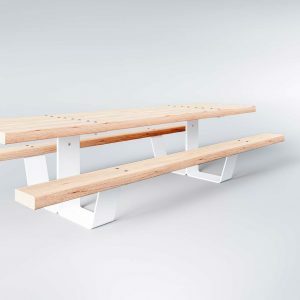 Prefabricated concrete is used to make up the difference in level in the play area, its geometry lending itself for use as a bench. 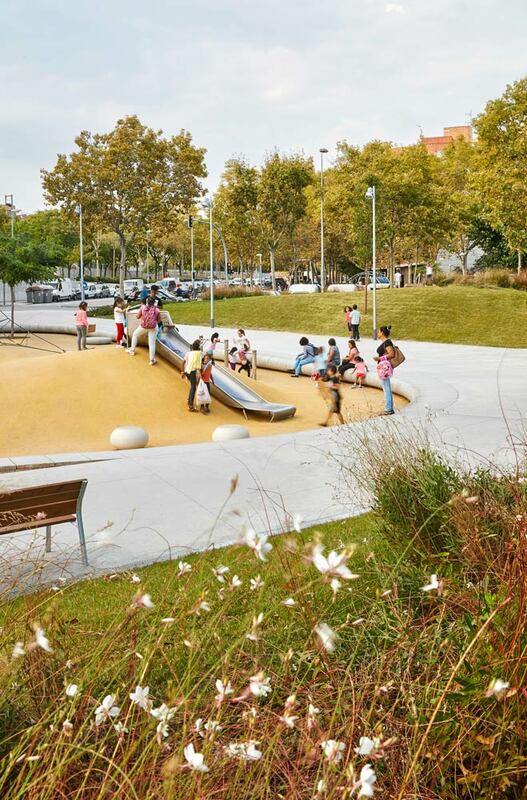 In this way, the fences separating children from adults are eliminated in an integrative, intergenerational solution. 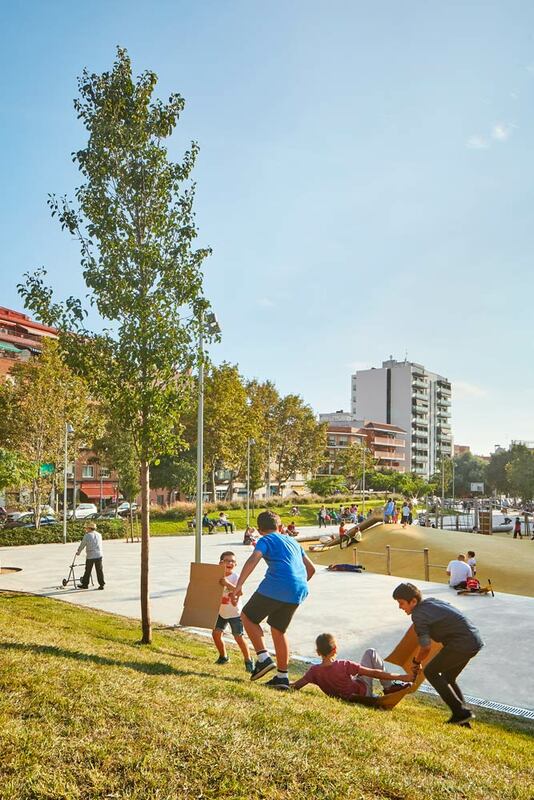 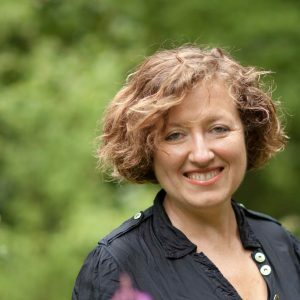 The games offered are collective to encourage participation rather than individual play; transparent to allow adults to keep an eye on activities, and abstract so they can be transformed in the children’s imagination.